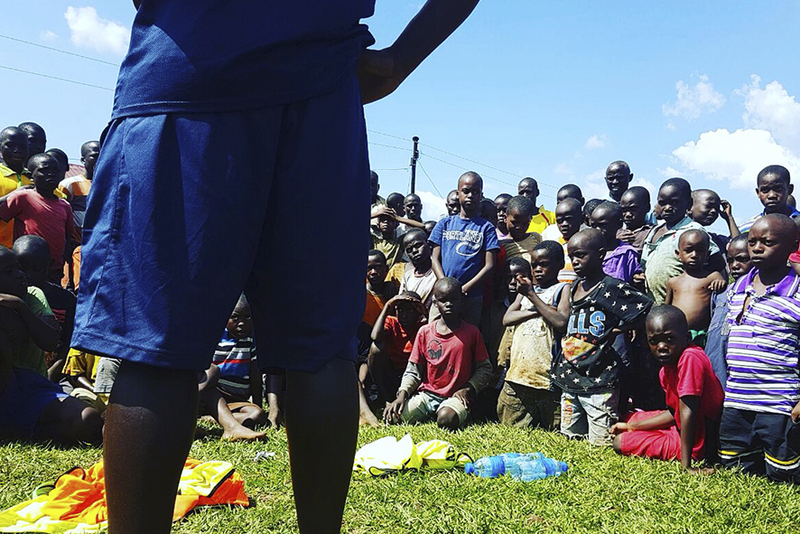 If you dream of being a professional soccer player and lives in the south of Uganda, you should always be following our newspage and facebooksite. Her we will be informing you in which area we are recruiting from. Where do we recruit from? Developing young, talented Africans into professional soccer players is just part of the Academy operation – the first challenge is to find and identify them. El Cambio operates in 2016 and 2017 in the south of Uganda. In the near future to come we would like to expand to the whole of Uganda. In years from now our dream is to offer this possibility to nearby countries as well. In 2016 we had tryouts for all boys age 9 and 10. We were scouting in 4 different cities with 3 different events in each city. How many do we recruit at ECA? Every year we are selecting 8-10 students to study and train at the Academy on 100% scholarships. The El Cambio Academy has an ambition of helping around 80 boys every year through a combination of football, education and character development. When that is accomplished we will start looking out for building a similar program for girls. How do we recruit the players? We recruit players once a year. All the boys attending our tryouts will get the chance to proof themself. We will have small-sided games going on at all our events and all the players will then be seen in an small area with high demands to their physique, technique, individual tactic and mentality. The players who are selected from these tryouts will be invited to train at the academy for a specific perioud of time. After the perioud the boy might get selected to become an ECA player. What are we looking for in a soccerplayer? We are looking out for soccer boys with a combination of outstanding winning mentality, playing intelligence, speed, agility and technique.